Piano Lessons Houston At Home & Near You! "The BEST teachers, incredible staff, plus one has the option of having the instructors come to your home! We cannot say enough positive things about this group of talented and dedicated instructors. Our son has been taking piano lessons for the past year and voice lessons for several months via Teachers2Go, and he absolutely adores his teachers. He was just accepted to HSPVA for jazz piano this fall, and we know his piano teacher's guidance was a big part of him making the cut! Our thanks to David, Mandy, Rick & Kevin. You guys ROCK!!!!" Our piano students range from children age 4 who are just beginning, to experienced adults of all backgrounds and interests. In fact, we have had piano students as young as 3 years of age to as old as 97! 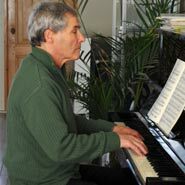 We have expert piano teachers who can teach you with traditional music notation, and experts who can teach you to play by ear. You can study any style of piano and keyboard in your home with us: from classical music to jazz and blues, from pop to modern rock keyboard stylings and world music. If you prefer to come to our location, we also have instructors who teach a limited number of piano lessons at our studio. Our Teachers 2 Go studio and office location is located in West Memorial near Lakeside Country Club. Please see Lessons In Our Studio for more information. 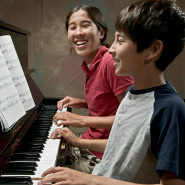 When Is the Best Time To Start Piano Lessons? 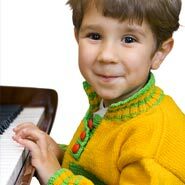 We have many students who begin piano lessons around approximately 4 years old. Read one of our instructor’s posts on teaching 4 year old beginners. 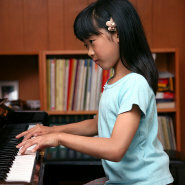 The main factor to consider when deciding if your child is ready for piano lessons is his or her ability to focus. Other considerations include emotional maturity, physical development, eye to hand coordination, and possibly current academic ability. 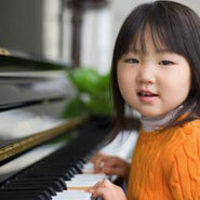 It’s important to remember that if it turns out your child is not ready to take private lessons at 4 or 5, that doesn’t mean he or she won’t be successful taking piano lessons at age 6 or 7, or even older. For children younger than 4 years of age, we can sometimes refer or offer private instruction in general music with teachers who specialize in early childhood music education. We like to say--you are never too old to learn! We have had students who have achieved excellent results as old as age 97. (Yes 97!) In fact, some doctors believe that the best natural prescription for arthritis in the hands and for keeping your mind sharp is to play the piano. We have many adult students of all ages, and some even take lessons along with their kids! We have adults who are complete beginners, some who haven't played their instrument in 20 years, and some who are more advanced who want to take their skills to the next level and perhaps even play professionally. 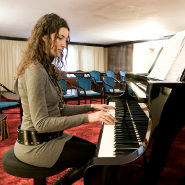 We have a piano teacher for every age, level, and stylistic interest. Our teachers are reliable, experienced, patient and fun. Most importantly, our piano and keyboard teachers are all professional music teachers and musicians, and all have proven methods and the experience to help you reach your goals. Read more about why piano lessons are taught privately. What Is the Best Keyboard or Piano For Beginners? 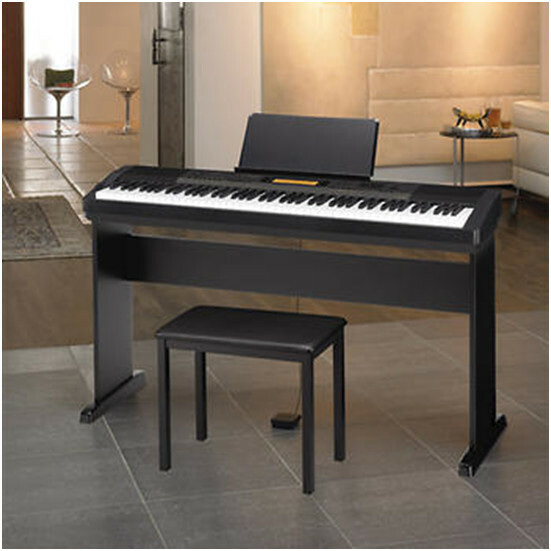 Needless to say, there are a lot of choices when it comes to purchasing a piano or electric piano (ie: keyboard). Buying a musical instrument is a lot like buying a car: there's new & used with a million models to choose from. The bad news is, you have to have one. No one can improve or learn to play an instrument without practicing, and therefore, the student will need to have a piano or keyboard in the house to practice. For most beginners, it's a good idea to start with a keyboard rather than making an investment in a new piano right off the bat. (For one thing, you will feel much better losing hundreds rather than thousands of dollars if the student or students quit.) It's best to get a keyboard that has 88 keys that are fully weighted (like a piano), otherwise the fingers will have a hard time adapting to playing an actual piano if they are practicing on a small electronic keyboard. (You don’t want to take lessons and then sit down at a real piano and not be able to play.) The good news is, 88 key fully-weighted keyboards are much more affordable these days. If absolutely necessary, you can start lessons with a small electronic keyboard that has the little keys instead and then move up after a few months, however you have to realize it will be very difficult to practice on one of those and then play an actual piano. Down the road, if you decide to purchase a real piano, there are many choices. Make sure if the piano is previously used that you have a full warranty, or hire a professional piano tuner who you trust to look it over first before you purchase it to make sure there is nothing inherently wrong. (We have piano technicians & tuners we can recommend.) Purchasing a piano is an investment, and you don't want to invest in one that loses its value because it can never work properly. You also don’t want to buy one that looks beautiful in your house, but that no one can actually play. 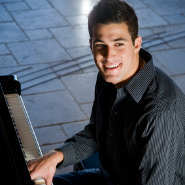 Read more on: How to Choose a Piano Teacher? If you're interested in learning to play the piano with Teachers 2 Go, or if you have questions related to piano lessons, purchasing a piano or keyboard, piano rentals, where to find a piano tuner etc., please contact us using the form on our Contact Us page, visit us on Facebook, or call us at 713-789-2352. Let us know how we can help. We look forward to meeting you!